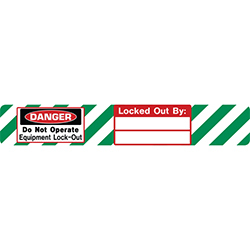 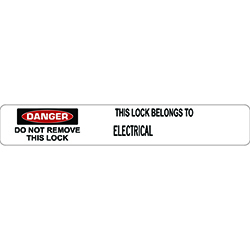 Lock Labels can only be removed by __ self-laminating padlock labels allow quick identification of locked out equipment. 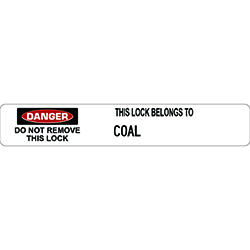 Wording: “Danger do not operate, this lock is to be removed only by person shown on locked out by:__”. 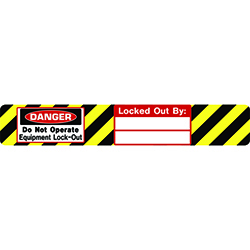 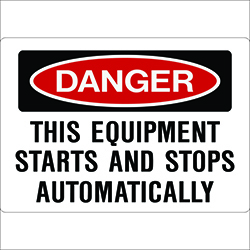 Be the first to review “Lock Labels Do Not Operate Black/Yellow” Click here to cancel reply.